The quality is excellent! Yes I would recommend this to family and friends. Embracing early American patchwork, the Braxton Standard Sham features navy, apple red, and natural log cabin blocks on the front with apple red, natural, and ebony on reverse, where you'll find three apple red chalk button closures. Fell in love with this quilt on a recent trip to the Smokies. 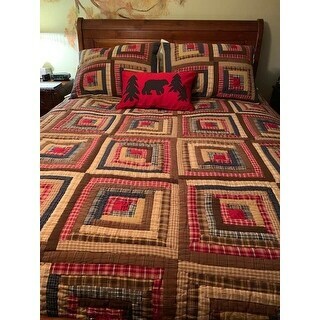 Ordered the quilt; HAD to have the shams. The quality and weight are outstanding! Colors are very beautiful matched the quilt perfect and very well made. Fast shipping too. Would not hesitate to buy again. More than pleased with the ordering, payment and shipping. The shipping arrived 3 days sooner then expected. 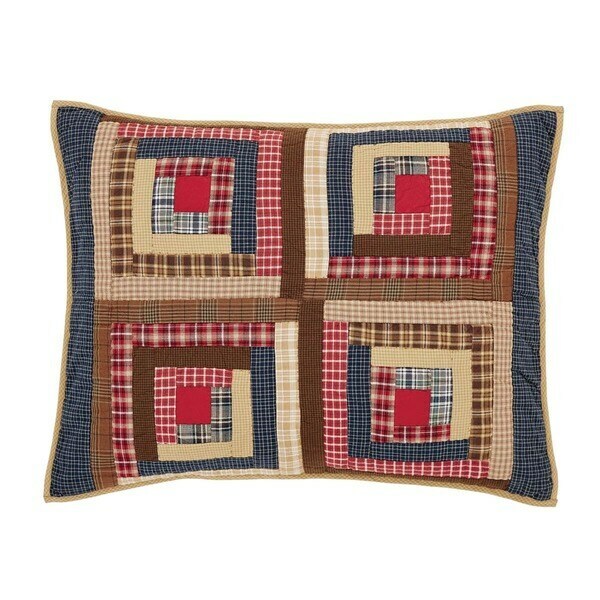 I all came together with the quilt and shams in one package. I am very pleased. Excellent pattern & warm too. I received many compliments. I have the entire set including curtains & it is very homey & comfortable. I just love it!